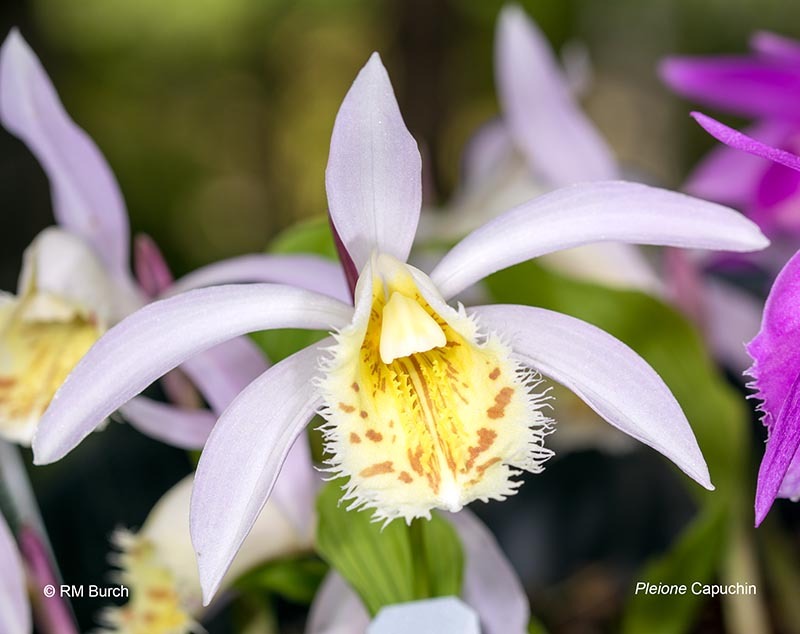 According to Paul Cumbleton in his outstanding website Pleione, the first Pleione hybrid, Pln Versailles (Pln. formosana x Pln. limprichtii , was registered by Georges Morel in 1966. Today nearly 400 hybrids have been registered. Artificial orchid hybrids are registered by the Royal Horticultural Society. 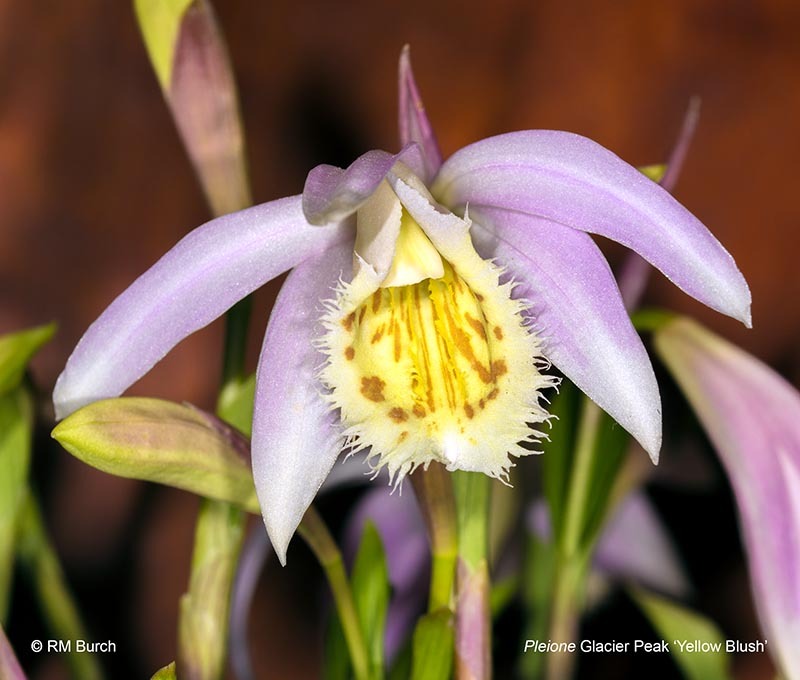 Hybrids are registered and named by the person who flowers the plant and first submits an application for registration. Note that the RHS also lists some synonyms in their database. The RHS plans to ultimately list commonly-used synonyms. 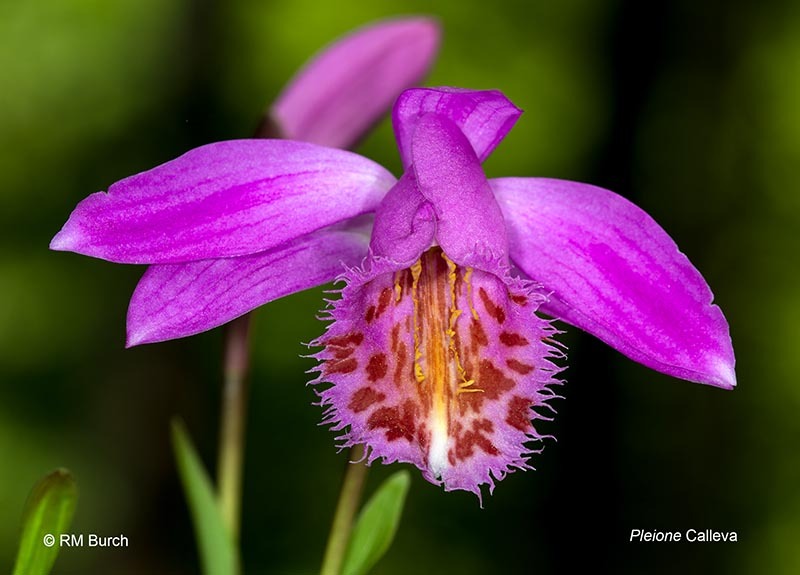 For example, Cypripedium Yezo is the official name of the hybrid of Cypripedium macranthos and Cypripedium yatabeanum; another name seen for the same cross is Cypripedium Sandra Maier. This name was not registered but is listed as a synonym since it has been used in the literature. The person who makes a given hybrid is referred to as the originator. Natural hybrids are here referred to with the letter "x" in front of the specific epithet and the author of the paper in which the natural hybrid was first described is indicated. 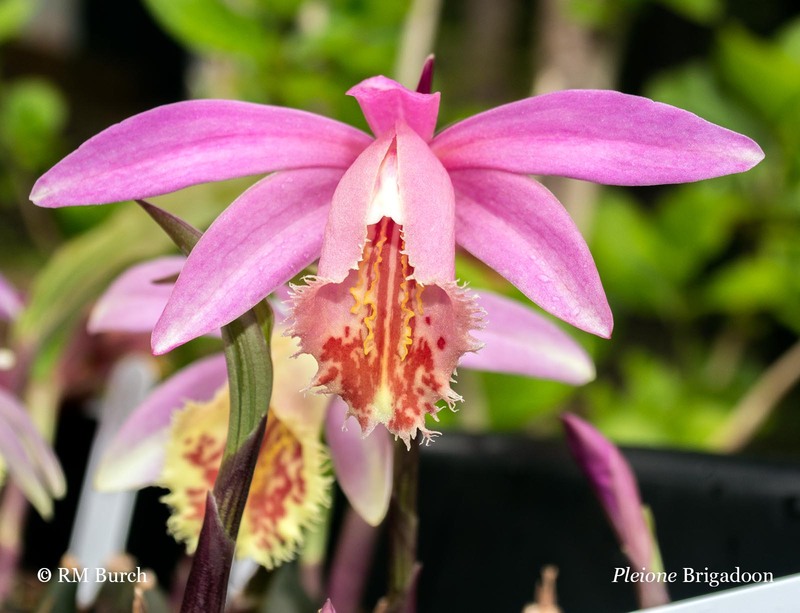 Hybrids listed with ( ) around them are names that have been associated with the specific hybrid in the literature or web sites but which do not appear in the RHS Orchid Parentage listing. 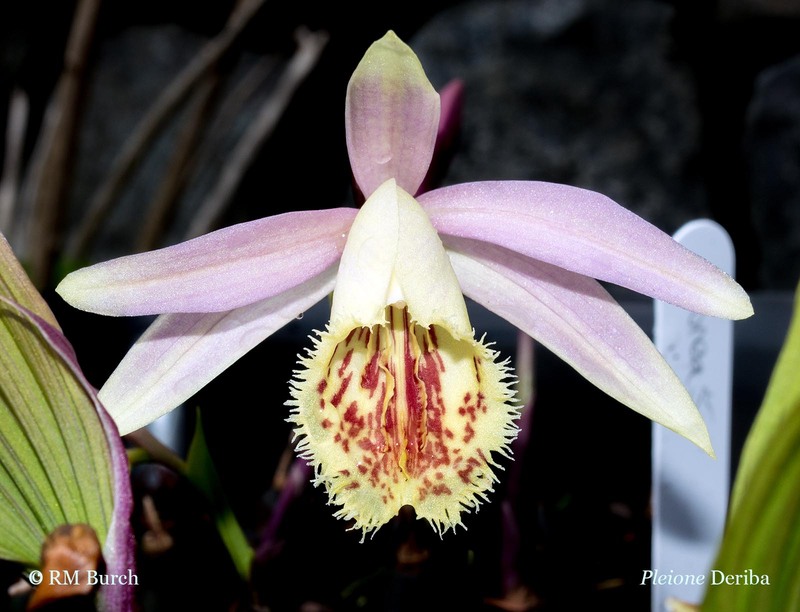 To search the current RHS list of Pleione hybrids, enter Pleione into both of the parent genus boxes. The offspring of a specific cross are all referred to as belonging to the same grex. 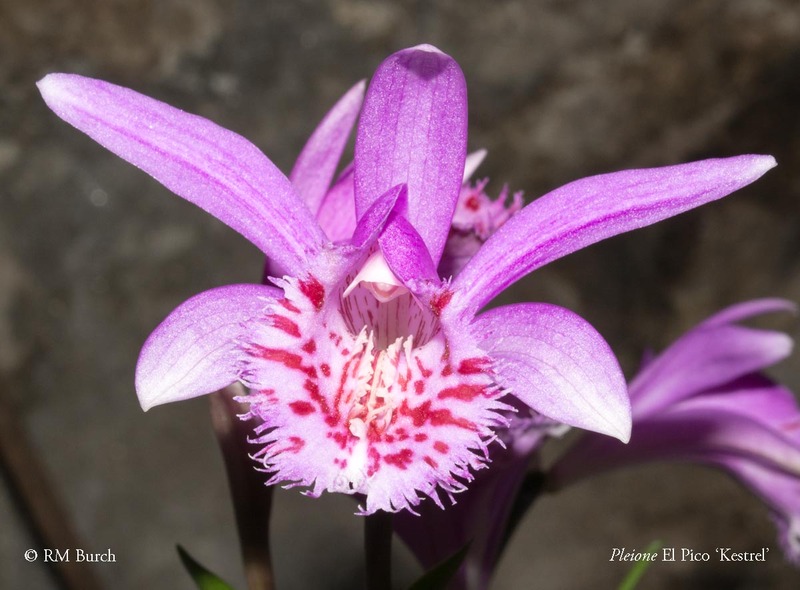 Thus, all Pleione Ueli Wackernagel, for example, are offspring of a cross between any Pleione aurita and any Pleione formosana. 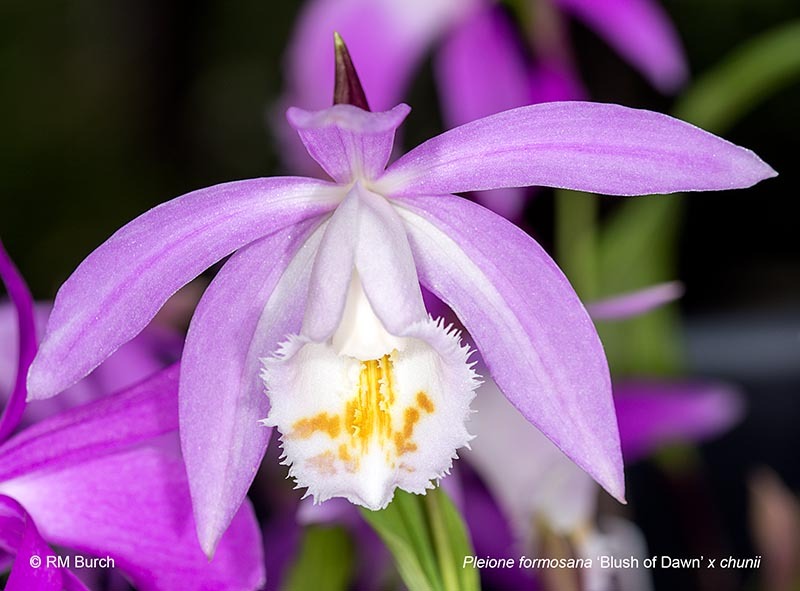 Finally, specific plants that have resulted from a given species or cross may receive awards for particular merit from a recognized judging body such as the American Orchid Society. These specific plants may then be named by the exhibitor to indicate that they were awarded. These results are not listed in this table. We also have a table that allows you to see all the hybrids organized by parentage rather than hybrid name. That list has additional hybrids that have been reported but for which have not been registered or for which we do not know the name.